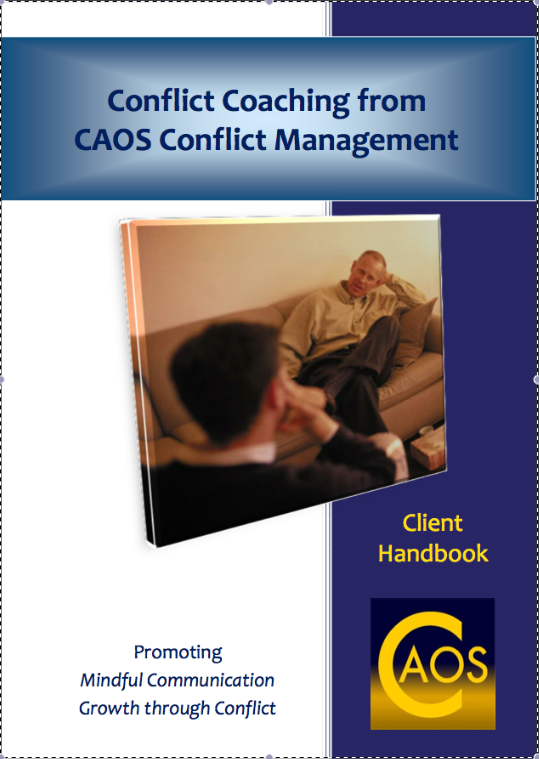 The Conflict Coaching Clients Handbook is given to all clients of CAOS Conflict Management when they have their first one-to-one session. It provides a support during coaching sessions and beyond them as a reference and reminder of what has been learned by the client during the session about their present responses to conflict or their approaches to communication within a conflict. However, even for those who have not had Conflict Coaching, the Handbook provides useful insights into common effective ways of approaching conflict that support a more creative and effective outcome for all involved but particularly it helps the individual to respond more 'self-supportingly' within their difficulty. 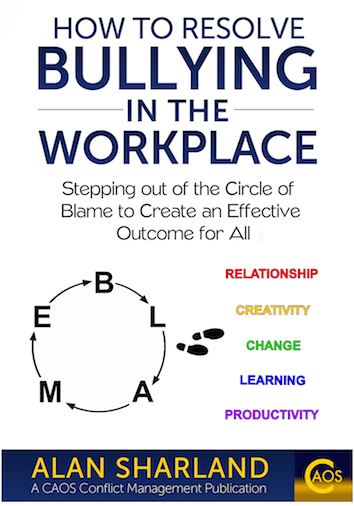 This reduces the sense of powerlessness which is a feature of all unresolved conflict and helps them to create positive and constructive change in how they are responding to their situation. The Underlying Philosophies of Conflict Coaching from CAOS - these support you with your difficulty by ensuring the coaching process enables you to create your own answers to your situation rather than receive a 'quick fix' from the coach which is unlikely to be sustainable. Communication Skills - these skills enable more 'mindful', more effective and more 'intimate' communication so that you become more aware of how your communication impacts on a difficult situation. The 3 main ways in which conflict is responded to. Two of these never lead to resolution. Can you practice the 3rd way that leads to resolution?